EasyJTAG Classic Software 3.5 UFS Added!!! 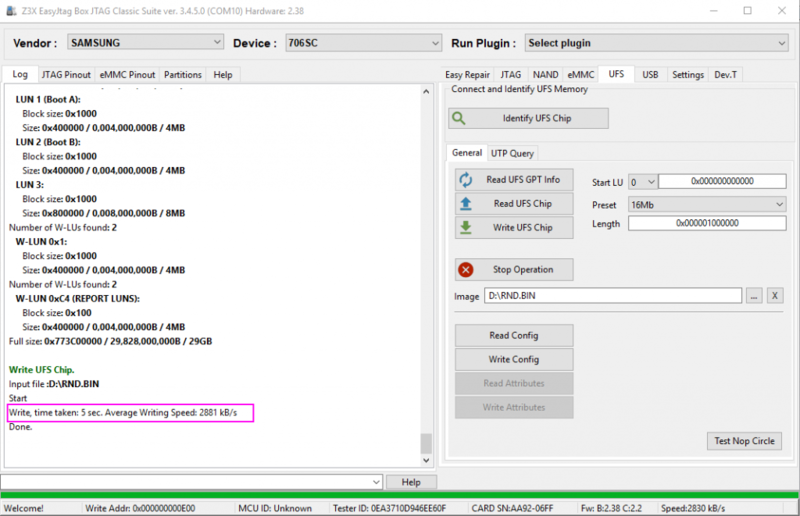 | EasyJtag – Fastest Memory Programmer in the word! Home » News » EasyJTAG Classic Software 3.5 UFS Added!!! eMMC RPMB Region Status added. eMMC RPMB Key writing added. eMMC RPMB Read without key added. eMMC RPMB Write with key added. Apple NAND Support improved for many devices. Partitions tool menus advanced options. Fixed Support of 4K block devices.